This degree explores three different yet closely related specialisms as they relate to a key subject: the nature of the mind. Combining philosophy, psychology, and the history of ideas and science, this varied and interesting degree allows you to explore the most fundamental questions about our minds. You’ll utilise scientific, philosophical and historical methods to understand what the mind is and how it works. You’ll also examine the mechanisms of the brain, childhood development, mental illness, the history of psychology and the relationship between the mind and the brain. You can develop your understanding even further by choosing from a wide range of optional modules reflecting the diverse research interests across the University. This enables you to focus on wide-ranging topics that interest you such as ethics, the philosophy of art or religion. Modules in your first year will introduce you to different aspects of philosophy and psychology, such as biological, developmental and cognitive psychology, concerning questions of knowledge and the self. You can also choose from optional modules on topics such as ethics, the 'history of philosophy' and the links between magic, science and religion. From this foundation, over the next two years you’ll take further core modules in topics such as cognitive neuroscience and philosophy of the mind, as well as choosing from a wide range of optional modules across philosophy, psychology and history of science. You could study ancient philosophy, psychological disorders, metaphysics, learning theory, and the ethics of life and death, just to name a few. Throughout your degree you’ll be developing a wide range of skills including research, interpretation and analysis, and in your final year you’ll have the opportunity to apply them to an independent research project on a topic of your choice within philosophy and history of science. The School of Philosophy, Religion and History of Science and the School of Psychology are home to tutors who are at the forefront of research in their fields. We use a range of teaching and learning methods to help you benefit from their expertise, normally including lectures, seminars, tutorials and occasionally workshops. However, independent study is integral to the degree, since this is where you develop your skills in research, interpretation and analysis. We also use various forms of assessment, usually combining exams and essays. However, some modules may also incorporate oral presentations and group work. We do offer plenty of support: for example, you’ll be able to attend extra classes on exam technique and public speaking throughout your time at Leeds. Because this degree crosses so many disciplines, it will grant you an impressive range of subject knowledge. But you’ll also develop valuable transferable skills that really stand out to employers. You’ll have strong research skills and be able to interpret and analyse both qualitative and quantitative data. You’ll also be confident working independently or within a team, and you’ll have the advanced communication skills necessary to present and defend your own arguments. These are all valuable skills that have allowed graduates to pursue a wide range of careers in areas such as charity work, the civil service, politics, education, journalism, the media and management. They’d also be valuable in fields such as social work, marketing and consultancy. 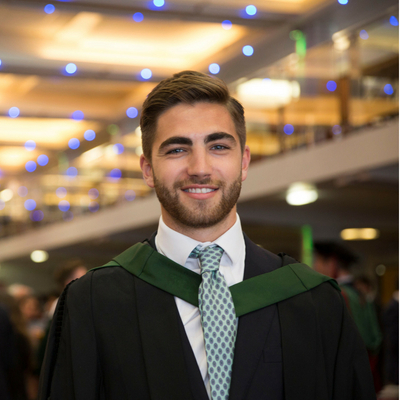 Many of our graduates go on to pursue postgraduate study or further training. You’ll also have additional opportunities to gain work experience during the degree. For example, you can apply for our Philosophy Students into Schools module which allows you to spend time planning and delivering lessons, or you can get involved in the ongoing development of the Leeds Museum of the History of Science, Technology and Medicine.